Of course, your future husband and friends will think you look beautiful on your wedding day no matter what, but we made this guide so you can feel your best self on your special day. There are a number of common beauty mistakes women make before their wedding day, and lucky for you, we’re going to tell you how to avoid them. If you want to avoid an embarrassing stained smile in your wedding photos, avoid foods that are likely to tint your pearly whites. In order to keep your flawless, consider investing in some professional teeth-whitening product or treatment. If you’re on a tight budget, Crest Whitening Strips are a great over-the-counter solution. 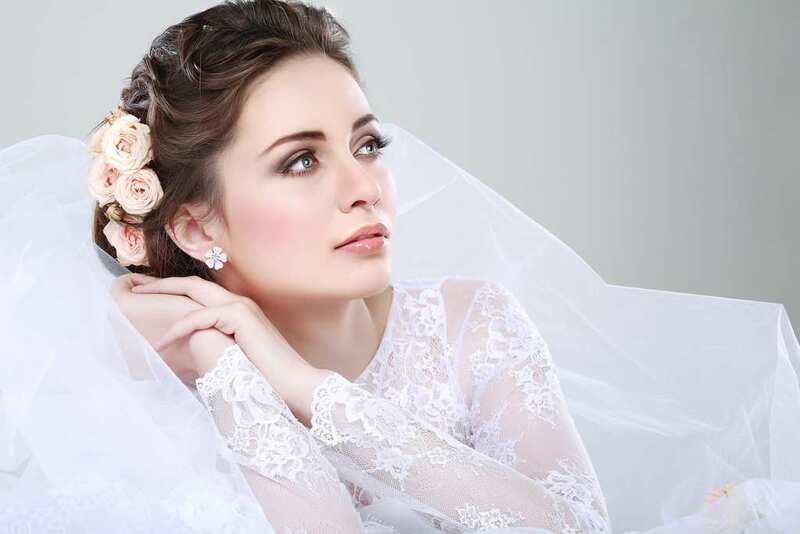 For best results, start your whitening regime at least a month before your big day. It’s no secret the sun can cause serious skin damage, but we’re not here today to warn you about skin diseases, rather talk about looking too dark and unnatural in your wedding photos. In order to avoid this, keep your sun dosages as low as possible. We’re not saying you should walk around with a massive sun hat or anything, we’re just warning you to be careful not to get too tan. Changing Your Birth Control, Skin Care Routine, Landry Detergent, Etc. We all love trying out new and yummy fabric softeners, but do your best to avoid new brands/scent before your wedding day. That goes the same for birth control, medications, or anything that can lead to unexpected reactions. If you’re going to make changes, give yourself enough time to test them out first. Avoid getting beauty treatments like dying your hair, waxing, or anything similar two days before your wedding. You don’t want to risk embarrassing allergic reactions like a red patch or a rash. Starting at least seven days before the wedding, steer clear of salty snacks, sauces, deli meat or dressings. Load up on fresh fruit, vegetables, and low/no sodium foods whenever possible. This will cut the chances of you having a food baby while walking down the aisle.